There are so many advantages to owning a rental property, and particularly, being able to acquire one through using your self-directed IRA in tandem with a non-recourse loan. With a rental property, you can receive an additional source of income, flexibility in how your income comes through, and a financial asset that could provide long-term value. Yet in order to make these advantages happen, one of the things you need to do is ensure you’re doing a good job maintaining and keeping up your rental property. Owning a rental property is like any other job, in the sense that you need to do well in order to keep it going. Poor feedback from tenants or a living space that’s undesirable will leave you with an additional property that’s not generating the revenue and resources you anticipated. First Western Federal Savings Bank is your non-recourse loan lender of choice, but we believe in more than just providing you with financial opportunity. We’re here to offer you tips on owning your rental property, so that you can maximize this investment to its fullest potential. Learn about some ways to keep your rental property in peak condition, and contact our non-recourse loan lenders to get an IRA loan today! Create an optimal living space. In the event of an unfurnished space, you need to make sure the shell of your property is functional. Regardless of whether the property has just been built or has been left by previous owners, one of the first things you should do is go over everything with a fine-tooth comb. You should have definitely done this before purchasing the property to make sure everything is up to snuff, but either way, continue looking through everything in and on your property. As you go through each room of your house (and check the exterior as well), make sure you document along the way. Take pictures of everything, and make notes of what’s good and what needs fixing with your rental property. When you see things that could cause issues later, such as an ancient water heater or some cracks in the drywall, start getting these potential problems fixed. Granted, a new water heater is pretty expensive, and if you don’t yet have tenants living in your property, it might not need replacing right at this moment. But at the very least, be sure to budget for these issues and make a plan on when you’ll be able to fix things as a whole. As the owner of this property, it’s your responsibility to make sure these things are functioning for your residents. Being unable to provide for your tenants is irresponsible at best, and downright careless and dangerous at worse. Additionally, with an unfurnished property, you don’t need to worry about decoration or furniture, but you do want a space that’s relevant and fitting with the trends. One such example is with appliances—nearly all properties, furnished or not, come with appliances. If your rental property is without, or is relying on a wood-burning stove from the 18th century, it’s time to upgrade (though to be honest, a wood-burning stove sounds pretty sweet). If that countertop from the ‘70s looks outdated and out of place, it’s because it is—make the necessary changes now, and you’ll have less to deal with down the road. There can definitely be some advantages to furnished properties, depending on your demographic. If you’re renting a property that’s near a college or university, you could have an edge on the competition, particularly with a group of renters who are temporary and transient by nature. The same steps apply to renting out a furnished property, with the addition of needing to purchase furniture. You’ll again want to consider your demographic, but furnishing a rental property usually means you’re going to want durable furniture with a considerable life span. And as always, keep trends in mind when furnishing a rental property. Does it make sense to go modern? Should you keep it classic? No matter how you furnish, remember that each renter will have their own style, so you’ll likely want to stay simple and merely provide the basics for your furnished property. Kitchen table with chairs, bar stools as necessary, maybe a couch and an armchair or two—you don’t have to go over the top to make a difference. 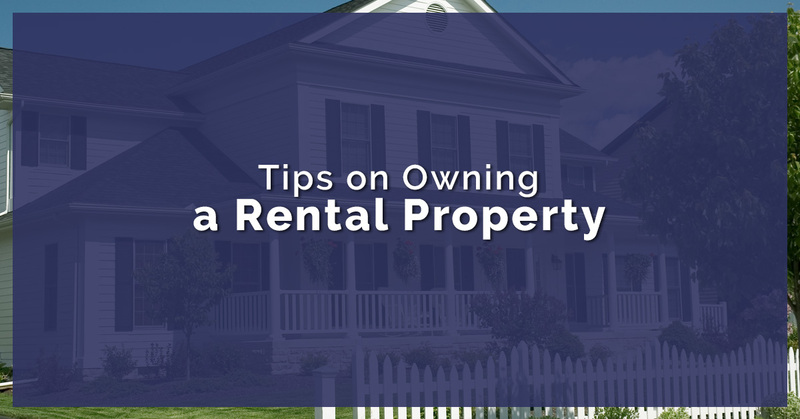 We’re going to continue on more tips for owning a rental property in a future blog. There are tons of important things to know that can make a significant difference in the experience of owning a rental property. In order to be successful at renting out your property, one of the first things you can do starts with establishing a livable and desirable space. Of course, before that even happens, you can’t go wrong with having the expertise of First Western Federal Savings Bank at your side. Work with us as your esteemed choice for non-recourse loan lenders, and we can help you get started. The process of using your self-directed IRA in collaboration with a non-recourse loan can seem like a difficult one, but our loan lenders are here to guide you. Contact us today to get started, and stay tuned for more information on owning a rental property!